In the previous lessons, you’ve learned how to merge data. In this lesson, you’ll learn quite the opposite. I will show you how to split data from a single column to multiple columns. We will use the example from the previous lesson. To split this data, first, you need to select cells from B3 to B6. 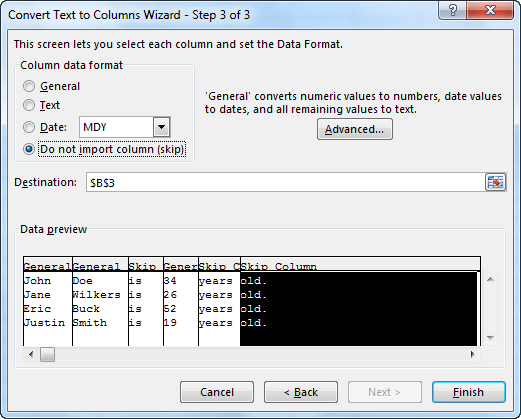 Next, go to DATA >> Data Tools >> Text to Columns. 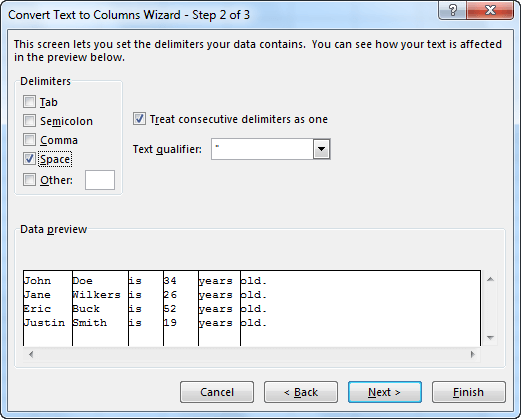 After the window Text to Columns Wizard will appear, choose the Delimited radio button. Because words in our example are separated by spaces, select the Space check box. 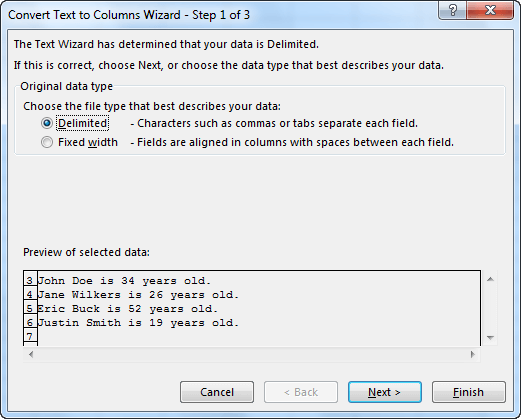 Click the third column and select the Do not import column (skip) option. Make the same changes for the fifth and sixth column. 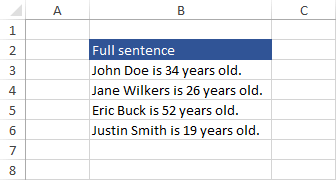 Excel will split the data into three columns. Change the headers to complete this example.